Today you’ll discover three important factors to consider when choosing the appropriate needle size and length for your injections. When you first start out administering your own injections, one of the most intimidating things to figure out is deciding what kind of needle to use. What size needle should you use? What length should the needle be? Which needle is the best for your type of injection? Today I’m going to share three important factors to take into consideration when choosing a needle for your injections. We will take a look at the typical needle sizes used and how to adjust based on these three factors. Once you understand these factors, you’ll see how this makes choosing a needle a breeze. 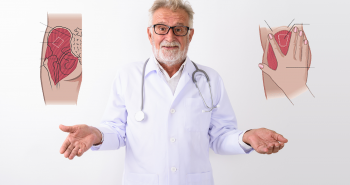 For testosterone replacement therapy (TRT) and many other medical treatments, two main types of injections are Intramuscular injections and Subcutaneous injections. Subcutaneous injections (sometimes called “SubQ”) are administered into the subcutaneous fat tissue, just below the skin. 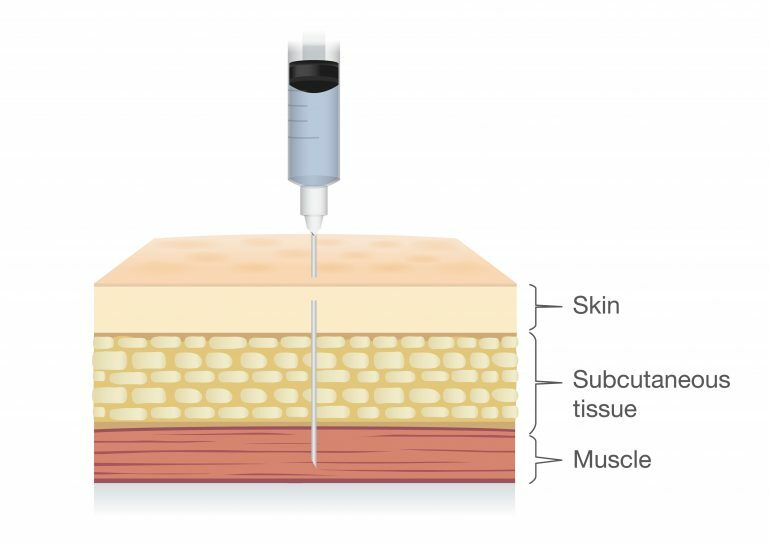 Intramuscular injections are administered into the muscle tissue, which is located below the skin and subcutaneous tissue. The figure below shows you the exact location of these two injection types. A representation of the skin, subcutaneous fat tissue and muscle tissue . 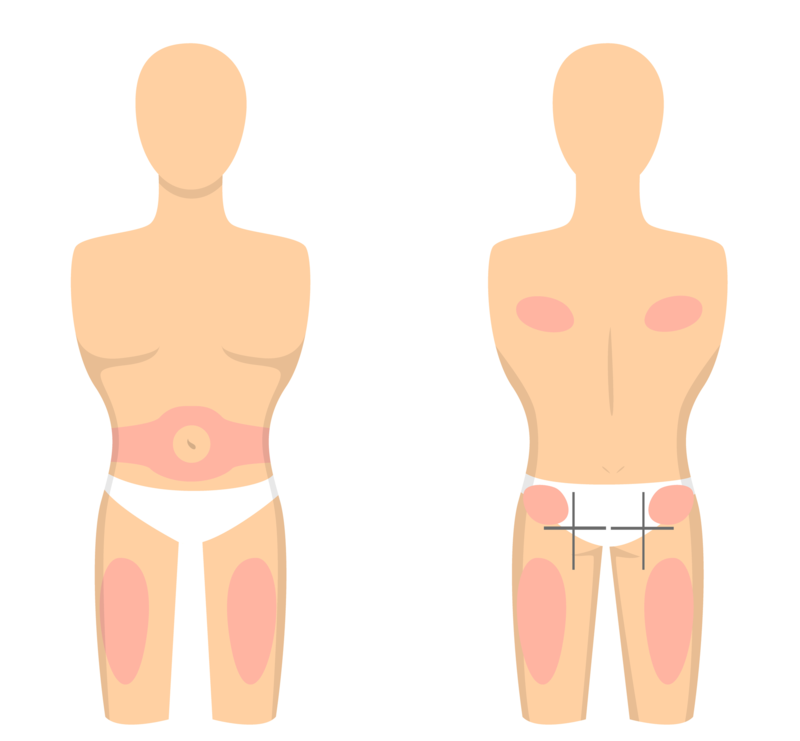 Intramuscular injections are the most common type used for most medical and hormonal treatments. Subcutaneous injections do have their place too and are used for certain types of medication, and sometimes for TRT too. 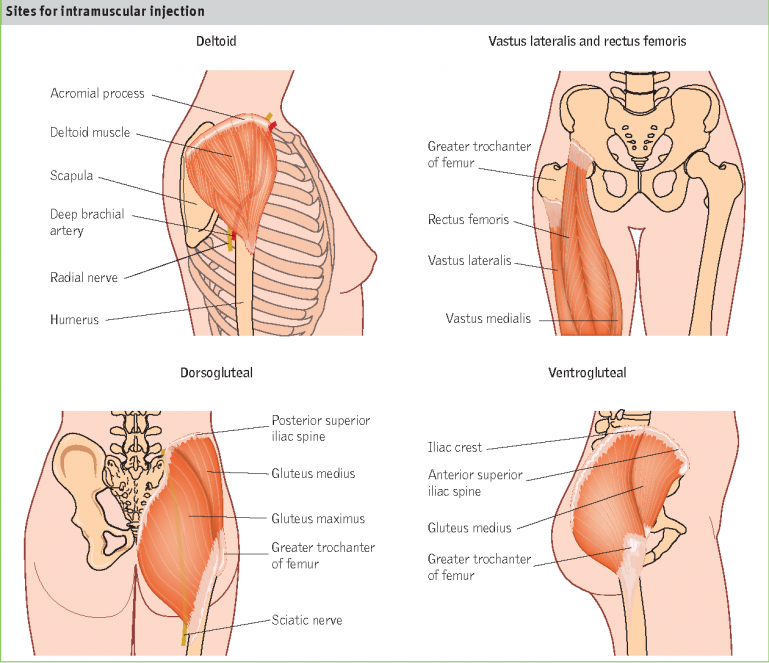 As you can see, intramuscular injections are a lot deeper than subcutaneous injections, and therefore require a longer needle for getting to the muscle. Once you know what type of injection you’ll be performing, the next factor to take into consideration is the injection site/muscle. For intramuscular injections, the most common injection sites are the glute (bum/hip), the deltoid (shoulder), and the quad (thigh). The glute tends to be a much fatter injection site than the others, and therefore requires a longer needle. There is a usually lot more skin and fat to get through to reach the muscle. The typical needle used for a glute injection is a 1.5 inch 23-25G needle. For the other injections sites, like the deltoid and the quad, you may need a slightly shorter needle, as there is typically less tissue to get through to reach the muscle. The typical typical needle used for a deltoid and quad injection is a 1 inch 25G needle. Subcutaneous injections are typically administered to the stomach/abdomen, thighs, shoulders, buttocks and sites that generally contain easily accessible body fat. Shorter needle are typically used for subcutaneous injections, as the needle simply needs to penetrate the thin layer of the skin to make it’s way into the subcutaneous tissue underneath. 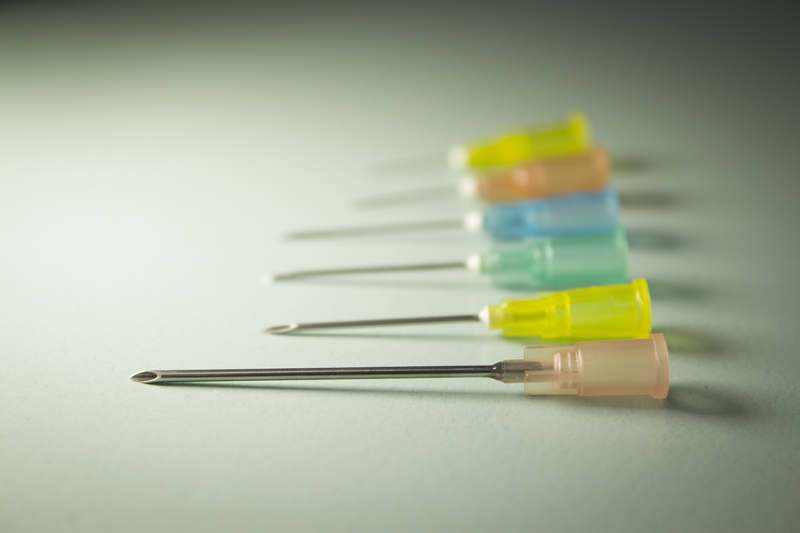 The typical needle used for a subcutaneous injection is a 3/8 – 5/8 inch 27-31G needle. 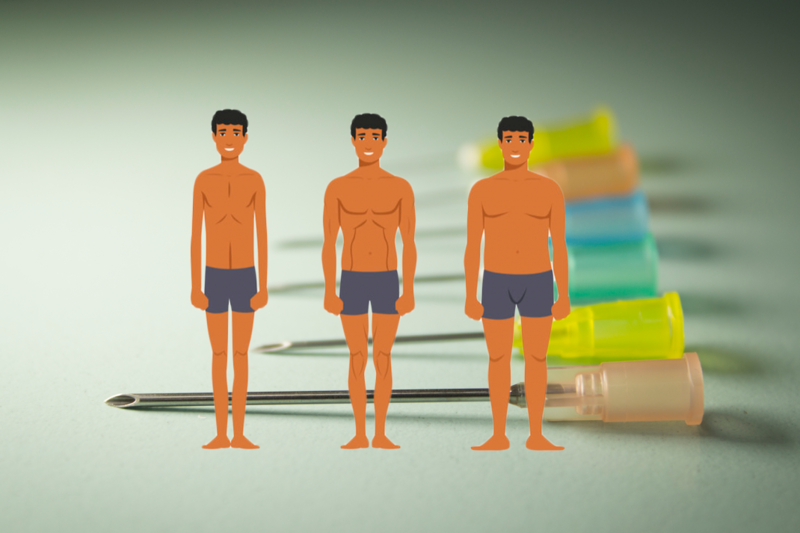 The final factor to take into consider when choosing a needle is body type. More specifically, how much body fat do you carry? The 3 different body types: Ectomorph, Mesomorph and Endomorph. The amount of fat you have on your body is particularly important for intramuscular injections. The more fat you have, the more tissue there is covering the muscle. It’s important that you make an honest assessment of your body type, and how much extra body fat you have, because this will determine the length of the needle you use. Generally, a mesomorph (normal/athletic body type) will use the typical needle lengths and sizes discussed earlier. 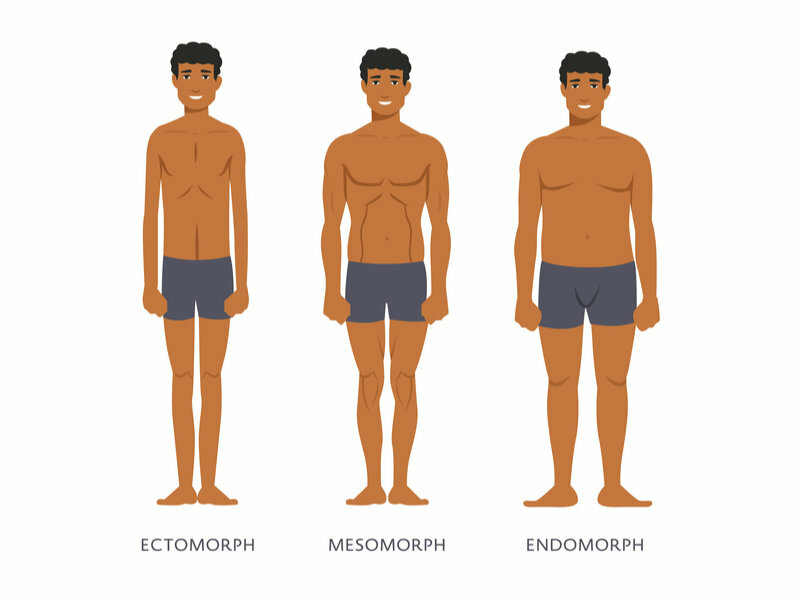 An ectomorph may need to pick a slightly shorter needle if they don’t have much body fat. An endomorph would likely need to pick a slightly longer needle from the norm, should they contain a lot of body fat. Now that we know what needs to be taken into consideration when selecting a needle for your injection, let’s see how this all ties together and how you would go about choosing a needle. The idea is to start from the baselines provided for a normal person, then try and determine whether you may need a longer or shorter needle based on the injection type, injection site and your body type. Look at your body and try and gauge how much fat you have surrounding the muscle. Let this guide you towards the appropriate needle length for both intramuscular and subcutaneous injections. Let’s start with glute injections. The typical needle used by a normal body type here is a 1 – 1.5 inch 23-25G needle. If you’re slightly skinnier with less body fat, you might lean more towards the 1 inch 25G needle. If you’re on the heavier side or really overweight, you would probably lean towards the 1.5+ inch 23G needle length. For the other intramuscular injection sites, like the quad and deltoid, you would start with a 1” 25G needles as the baseline. For the skinnier ectomorph, you might consider a slightly shorter needle, like a 5/8 inch to a 1 inch needle. Larger endomorphs would probably consider a slightly longer needle, like a 1 – 1 1/4 inch needle. Different needles for different injection types and sites. Subcutaneous injections are somewhat easier when determining which needle to use, as you only have to pierce the skin and get into the shallow fat tissue below. The typical needle used for most subcutaneous injection sites is the 3/8 – 5/8 inch 27-31G needle. Again, like with intramuscular injections, you might select the shorter needle as a skinnier person, and a longer needle as a larger person with more fat tissue. Hopefully this makes your needle selection a lot easier in future. Try not to be overwhelmed and just think it through carefully. Consider the type of injection you’re doing, the injection site/muscle and how your body type fits in to the equation. Generally, most people will be fine with the baselines suggested. Other body types can adjust accordingly. If you still have any questions regarding needles and your injections, feel free to leave a comment below. Previous postDorso Vs Ventro – Which Glute Injection Is Best For TRT? Subscribe to my mailing list and join our community and receive the latest news and special promotions.